The Case for Common Standards of Practice in Investment BankingLearn how a standardized industry exam will help develop junior talent and increase employee retention. Infographic: 7 Steps to the IBP CredentialReady to start the IBP Program and gain an edge in recruiting? Here, you'll find the start-to-finish steps required to obtaining the IBP Credential. Mr. Matchett is the founder of Financial Edge, a financial training company focused on instructor-led training for the world’s largest investment banks and Head of the EMEA region for the IBP Institute. Prior to Financial Edge, Mr. Matchett co-founded Adkins, Matchett & Toy Ltd., in 1997 and served as head instructor. Over the course of Mr. Matchett’s career, he has trained thousands of financial analysts, associates, traders, brokers, and financial managers in locales from leading firms on Wall Street to London and around the world. Mr. Matchett is the author of AMT's Introduction to Accounting for Finance, widely known as Wall Street's popular "green book" for new analysts, and the Valuation Midnight Manual. Mr. Matchett started his finance career at JP Morgan's London advisory unit after attending the internationally renowned Morgan Finance Program in New York. He worked as investment banker and also helped design and manage training for the bank. Stay up to date on the latest IBP Institute news. Use the form below to sign up for important announcements on the IBP Exam including registration deadlines and study tips. 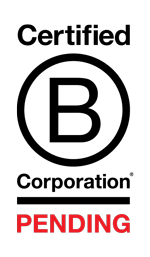 The IBP Institute is a pending Certified Benefit Corporation. Our mission is to promote greater transparency and professional excellence for the investment banking profession. Through collaboration with practitioners, regulators and academia, we champion the establishment of best practices and professional excellence, balancing the needs of both clients and advisors.